After a fourteen year hiatus one of the top male models of All Time graced the Valentino Fall 2015 runway last week for Paris Fashion week. The really, really, ridiculously good-looking model Derek Zoolander came out of retirement with Hansel to close the Valentino show. 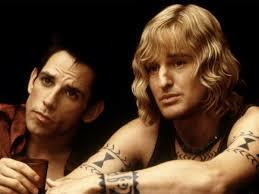 Ben Stiller (Derek Zoolander) and Owen Wilson (Hansel), two of the main characters from the hysterical 2001 comedy Zoolander stole the show as they ripped the runway. If you haven’t seen the movie definitely check it out to understand the magnitude of what happened this past week in Paris. Did these amazing surprise indicate a possibly sequel? Yes it did. Paramount pictures confirmed via Twitter that Zoodlander 2 will release February 12, 2016. Stiller confirmed on his Instagram, where he posted a picture with the caption, ” Apparently Derek and Hansel have come to terms for #Zoolander 2.” Both Stiller and Wilson are in Rome shooting the sequel. According to RollingStone Magazine details on the plot for Zoolander 2 are scarce, but will likely find Derek and Hansel trying to return to the modeling world after a long absence. This was a great marketing tool to build hype for Zoolander 2. Fans of the first movie will be highly anticipating the sequel, but have to play the waiting game.